God is the one that sees to it that we have what we need to grow. The gardener carefully determines the soil conditions. He then evaluates the amount of sunlight that the area gets and the amount of rain that it receives. Based upon those things the gardener either chooses to amend the soil and provide extra water or he chooses the plants that will thrive in the current conditions. 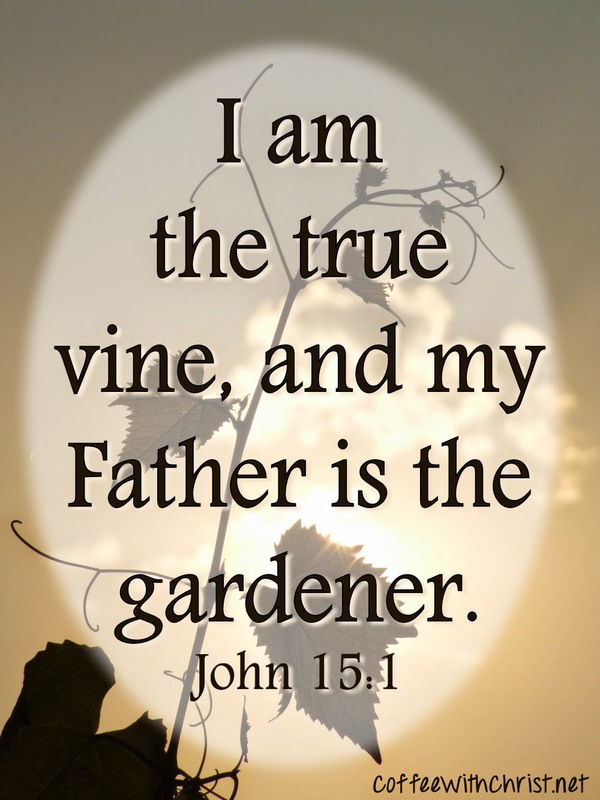 God has grafted us into a perfect vine, Jesus. Grafting is an amazing gardening trick. The gardener chooses a rootstock that is mature, able to provide all that the final plant needs as far as nutrition is concerned, contains the characteristics that the plant being grafted to it lacks, is strong, and is resistant to disease. I am so thankful that Jesus does these things for me! And grafting has some amazing results! Plants that are grafted are able to produce fruit sooner than if they were left on their own. These plants can survive in environments that they would be unable to were it not for the root stock. They are now able to resist diseases that would have otherwise decimated them and they are stronger and sturdier. Grafting is also used to repair damage to the original plant. Sounds a lot like what Jesus does for us as well. Grafting also requires that a portion of the plant die, much as we are called to die to self and allow Christ to live in us. (Galatians 2:19-20) We have to let go of the portions of us that are not beneficial and surrender to the life giving power of Jesus. Only then can we claim the benefits of the vine and begin to bear fruit. But not all grafts "take". Some plants seem unwilling to join with the rootstock and those portions whither and die. We too can choose to not join with the Vine. Our Gardener creates an ideal situation, aligns things up perfectly for us to receive the gift of life, and yet He loves us enough that He doesn't force us to accept what He has done. He allows us to refuse the gift, knowing that in the end it leads to death. It isn't His desire for that to happen, but He does desire real love from us. Can it truly be real love if we don't choose Him? God is orchestrating things in such a way that you will be able to survive the storms of life. Not only so that you can survive, but so that you can thrive and bear much fruit. He is an excellent, careful, and attentive gardener. You need only allow Him to do His work. Some days I just can't help but feel blessed beyond deserving. (Really, though aren't we all?) Sure, I could cry my many woes most days, but it's days like today when the overwhelming blessings suffocate me that make the other days as they truly are: insignificant. Not that God discounts our troubles- He cares about each worry we have (1 Peter 5:7) - He hurts when we hurt (Isaiah 63:9; Hebrews 4:15) - and He holds each tear (Psalm 56:8). But-- He also has many plans for us (Jeremiah 29:11). He has rewards around every corner (Isaiah 49:4). He heaps blessings upon blessings on us (Genesis 12:2-3; Numbers 6:24-26). How great is He? Today I assumed would be like most others- nothing overtly bad, but also nothing remarkably great either. That was my first error- isn't each day we wake up a great day? (Psalm 118:24) To start, the weather is gorgeous; a beautiful holiday weekend. Not only do I have a job, but one that acknowledges such holidays and allows us time off to be with our families. And the purpose of this holiday- to celebrate and honor those that gave their lives for me, this nation and our freedoms. Then there's the fact that I live in a country that allows me the freedom to worship Christ without a death sentence. I'm beyond blessed if I just stop there. But I can continue: this weekend celebrates thirteen years with my husband- a feat that at many times I doubted we'd make it through. He's a wonderful provider (of which we have much), husband and friend. And I can keep going with the 'generic' blessing of all of my friends and family that have been such a support system and source of encouragement in troubled times, and share in a joyful release in celebrations. And breaking it down further, we have a house, vehicles, money in the bank, and 'stuff' we don't need, but can enjoy. I'm healthy, have plenty of food (of which I enjoy too much), and find laughter in every day. Why do I feel extra blessed today? I'm not sure. This weekend I had a moment of self-pity, harboring feelings of resentment, bitterness and jealousy. Then I prayed (and so thankful I have learned to do so in those times). I asked God to take it away, and just give me the strength to get through the event that brought up such feelings. It seemed like a quick, half-hearted attempt to move on. (Maybe I really wanted to wallow in my pity) (Probably, most likely). But He answered in only a way He can. Literally within minutes of my prayer, I opened the mail before I left for the event- and amongst the bills (of which I am thankful for because we have 'stuff') was a card from a special someone who felt 'led' to remind me of God's love that day, referencing Deuteronomy 33:12. Then I received an email from someone else in response to a personal 'dream' of mine- with suggestions and encouragement. And now I'm feeling full; full of renewed motivation, full of encouragement and full of love. What can I say? I'm just blessed! I have to admit, my first instinct when I see an ant is not to consider it. And I would have never thought that doing so would make me wise! After all, these are those annoying little creatures that seem to somehow find their way into my kitchen in the summer. When I dig in my flower pots to add my annuals every year I am attacked by hundreds of them for disturbing their home. These are NOT my favorite insect - butterflies, dragonflies, even some of the beetles - those I would be happy to consider. But I trust in God's word and when I came across this verse with my daughter, we did, indeed, stop and consider the ant....and we were amazed! This creature lives with approximately 4,000 other ants and yet they all manage to get along, knowing what their job is and doing it to support the colony, much like we are called to do as Christians. A lot can be learned just by studying the colony in relation to how we should treat our brothers and sisters in Christ, but that isn't what I "considered". Instead I was drawn to the relationship between the ant and the aphid. An aphid is an annoying little insect for farmers that can decimate a crop. Farmers often purchase and release ladybugs (the aphid's natural predator) in an effort to control them. One particular ant species, the honey ant, has a different relationship with it. This ant cares for the aphids. The ant will protect the aphid from the ladybugs, bring the aphid into the nest to protect them from the cold. It cares for the aphid young, moves the aphids to good food sources and otherwise betters the lives of the aphids, all in exchange for the honeydew that the aphid produces. What if we are called to be like the ants and the aphids are the lost in the world? Both species can survive without the other, but what the ant can do is make the aphids life so much better. The ant guides the aphids to all the best sources of "food", much as we are called to share the true bread of life with the world. (John 6:35) Granted, the aphids can locate their own sources of food, much as the lost can attempt to fill up on the things of this world. But with the help of the ant, the aphids are delivered to the best source, the one that will be the most nourishing. It is so easy for us as Christians to shut the church door and allow the world to do its own thing. It isn't easy to convince the lost that what they really need is Jesus when the world seems to meet their needs. So many of us are content to just leave a tract in the bathroom and say we have done our part. But the ant devotes its life to caring not only for those in its colony, but for these aphids as well. The ant defends the aphids from the enemy, much as our prayer can protect the lost from the real Enemy. (Ezekiel 22:30) Do you pray for the lost that you know? Not just a simple, passing, "Lord, help them" prayer, but truly pray from the heart. The Bible tells us that our battle isn't physical but spiritual. (Ephesians 6:12) The lost in the world are not our enemy, rather they are deceived and led astray. We can't pray them into salvation, but we can pray for the Enemies lies, traps, and deceptions to be removed so that the lost can see the Truth. 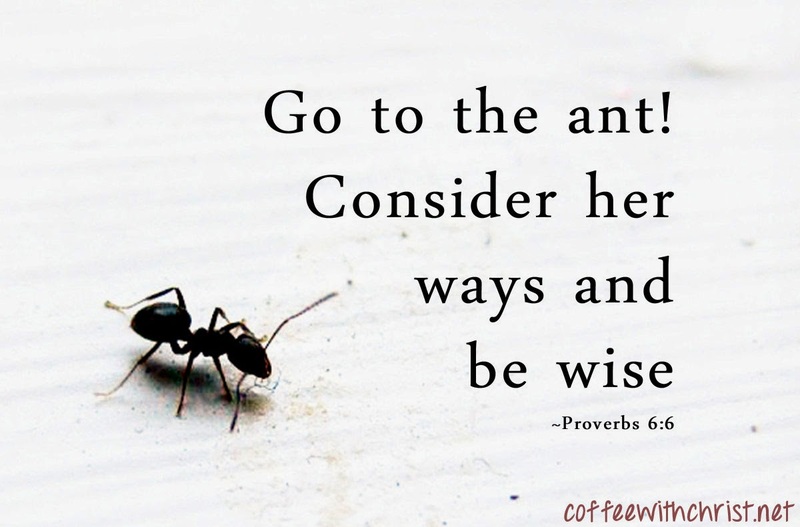 The ants bring the aphids in to shelter, much as we can lead the lost into God's shelter. (Psalm 46:1) God longs to see all people under His protection. When we share who He is, what He has done for them, we are leading them to the shelter of the Lord. And what is our "honeydew"? Our inheritance in Heaven. Colossians 3:23-24 tells us that whatever you do, work heartily,as for the Lord and not for men, knowing that from the Lord you will receive the inheritance as your reward. I am amazed at the ways that God uses nature to point us to Him. I shouldn't be though. He told us in Romans 1:20 that it has been this way since the creation of the world so that we would be without excuse as to who He is. Lately, I have truly felt the ridicule from certain people in my life; or at the very outskirts of my life. Certain family members to whom I am not very close to, but desire to be. Family that break my heart with most of what they say and do to and about me. Family that doesn't have the decency to talk to me, to my face, about whatever it is that I have done or not done to warrant such heartbreak. I have to read about it on social media, or hear from other family members what they've seen or heard. And part of me falls apart with each new comment. I start second guessing myself, and my faith. Do I deserve to be ridiculed and spoken so despicably of by them? Why can't they confront me so we can talk it out? 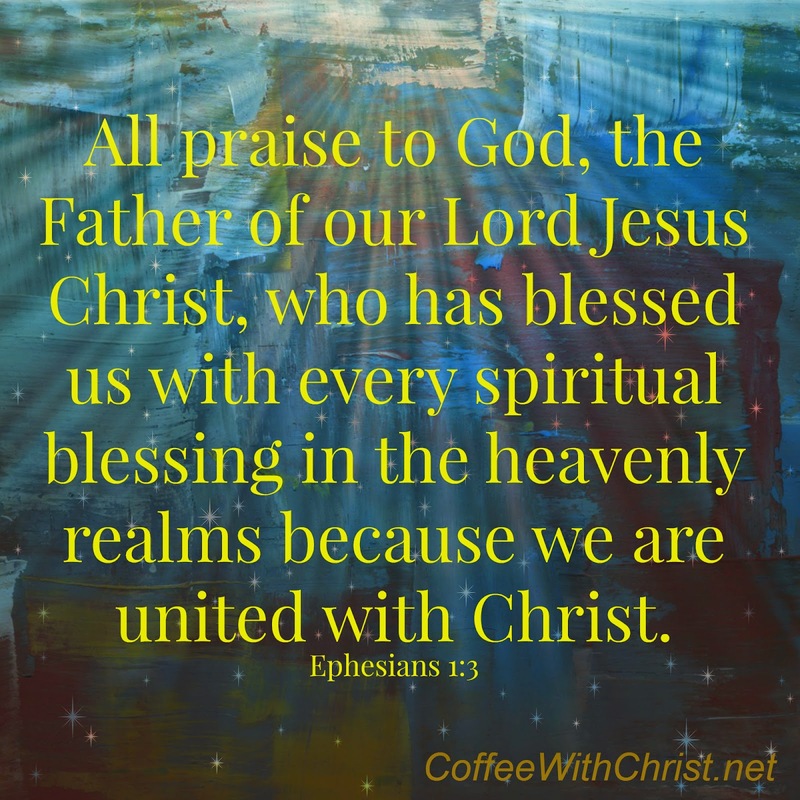 If my faith is truly for Christ, why am I battling this so badly? Why can't I accept that persecution is part of being a Christian? Christ didn't deserve the ridicule and hatred He received, why do I expect better? But the hardest thing I'm dealing with in this situation is: why do I want to forget my faith for a minute and spew my own hurtful things back at them? It's not fair that they blame me for things that are out of my control. It's not fair that they take no responsibility in anything. And it's not fair that I have to sit back and close my mouth and take it. But what it comes down to is this- I know Christ and they don't; therefore I don't get to behave like they do; and more importantly, I don't get to judge them like they're judging me. Am I perfect and blameless in the situation? Oh, no. I understand and accept that- but despite their thoughts, neither are they. But it doesn't matter. I must ignore the slander of me and my Christ. Turn the other cheek. (Luke 6:29) Ouch. Not only am I expected to allow them to condemn me once, but continuously. AND I must love them and pray for them. (Luke 6:27-28) I have to admit, that's not my first reaction. I don't want to love them, and I certainly don't want to pray 'good' things for them. I want to stand on my pedestal and tell them all that they've done wrong, to me and others. I want to show them how I've tried, explain how much I love them and justify my beliefs. But it's not my job to do so. (Luke 6:37) And honestly, so many others could get on their pedestals and point out all of my flaws as well. (Luke 6:41-42) The difference there is I know better- I know Christ. These family members don't. And I may be the only view they get to see of Him. So am I portraying Christ well enough? That's certainly debatable. (And some days I'm not even sure I know which side of the debate I'd be on.) So I choose (extremely reluctantly) to close my mouth, turn the other cheek, close my own planked eyes and pray. I start with praying for my heart to change- because until that happens, the remaining prayers become moot. 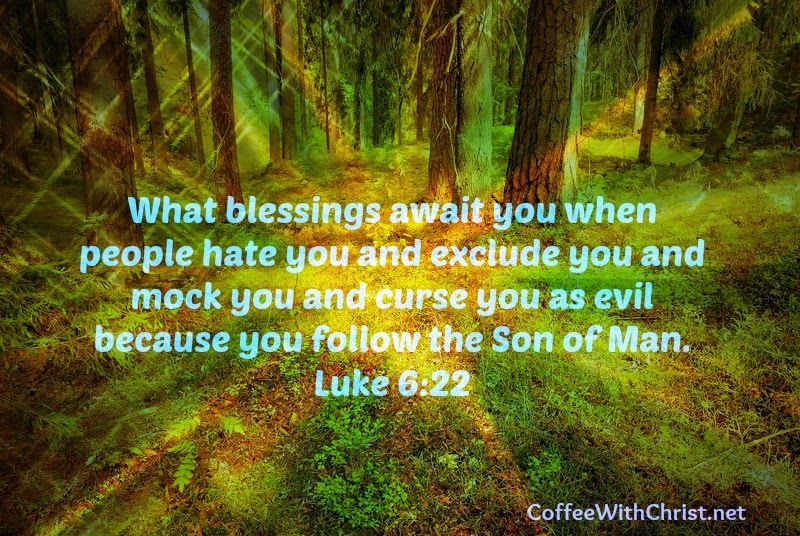 I pray that I be Christ-like, and love them despite their hatred toward me. I pray God opens my eyes to their needs that I may be a blessing to them in. (Luke 6:35) (And, yes, that prayer hurts) And I pray for compassion towards them as Jesus has for them and as He has for me. (Luke 6:36) I certainly don't deserve Christ's compassion, but through His grace I have received it. (John 1:16-17) I have to trust that if I show compassion and do to my family what I want done to me, then I need to start with me. (Luke 6:31) I need to be Christ to them, even when I don’t want to be. Especially when I don’t want to be. "I can't!" she cried, full of frustration. Every week we seem to have the same conversation and my heart breaks for her. She doesn't like spelling, and lacks confidence in her ability to spell. So each week when she begins practicing her words all she can see is a list of words she just can't spell....yet. I know that this is just the beginning. I know that she truly can spell these words if she will just remember the spelling rules she has already learned. I know she can, if she will just stay focused on the task she has been given, spend some time studying, and apply herself. I see what she is capable of, even when she does not. 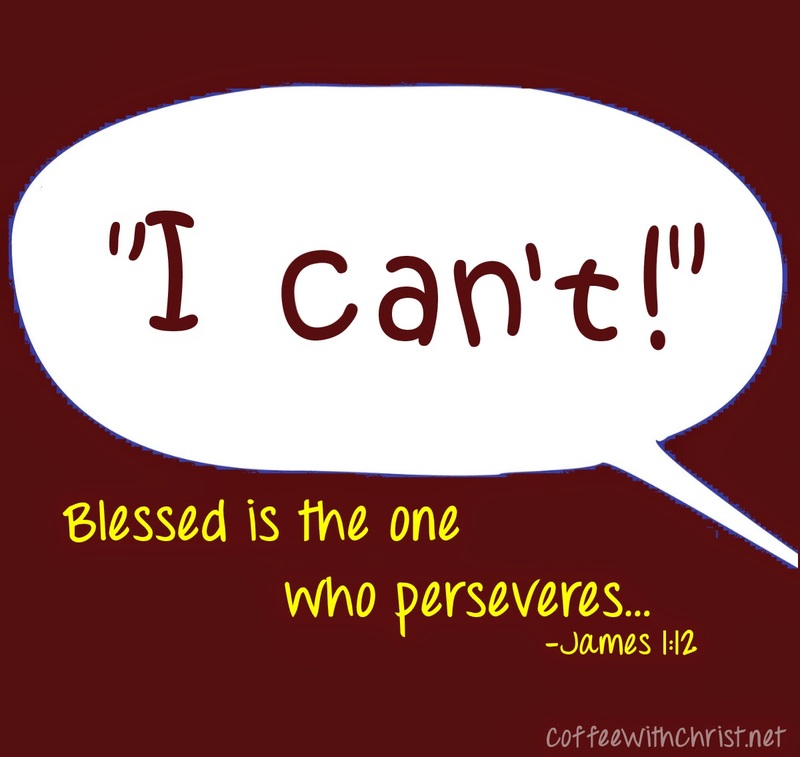 How many times have we yelled out, "I can't" in our own frustrations of life. I know that I have several times. Moments when parenting becomes to hard. When being a wife just feels like to much. Or when life just seems to keep throwing insurmountable roadblocks on the path that I know I am supposed to be walking. In those moments, I just absolutely know that I can't go on. I can't complete the task assigned to me. But just as I know that my daughter is capable of accurately spelling her assigned words, God knows what we can overcome as well. First, though, we have to remember the rules we have already learned. God has given us His plan, how He expects us to live. When we follow the "rules" we can accomplish anything because He gives us the strength to do so. (Philippians 4:13) What are the rules? It's pretty simple really. Love God. Love People. (Mark 12:30-31) Actually, these rules are a LOT simpler than the spelling rules my daughter is struggling with, but they are also a lot more difficult to put into practice. So the next time you feel yourself wanting to scream out, "I can't," remember that God knows a bit more about the situation than you do and trust Him. As for my daughter, she passed her spelling test. You'll pass yours too! After each failure, I promise myself and God that I will try harder. I won’t do it again. I will do my best. And then I repeat my mistake. It’s so frustrating to me when I recognize my sin, and yet continue to repeat it. What is wrong with me? And if I’m so aggravated at myself, surely God is, too. But He’s not; not like we think. Last week we talked about how He’s not disappointed in you. He loves you no matter what. He knew who you’d be before He made you, so He’s not surprised at your mistakes. To begin, let’s dissect the thrice component. Peter denied knowing Jesus three times (Matthew 26:70-74, Luke 22:57-60, Mark 14: 68-71, John 18:25-27) and symbolically Jesus asked Peter three times if he loved Him. One for each time Peter betrayed Him. In the thrice denial of Christ- Peter showed his complete (three) selfishness; he was only concerned with his own safety, not defending Jesus. Three, the final piece that filled in my puzzle of these verses was a personal reminder. You see, while I was researching the above difference between agape and phileo, as a friend pointed out to me that Jesus used the two separate terms, I was frustrated that I couldn’t find the difference in the words. I researched on the internet and used the Strong’s Concordance Bible to distinguish the difference in words and their meanings. As I became aggravated (much like Peter having to answer Jesus three times that he did love (phileo) him), I opened my Bible to those verses to read them again. And there in the footnotes, as it’d been all along, was the differentiation of the words and their meanings. I had a V-8 moment and smacked my head. ‘Why, when I am seeking an answer, is my Bible the last place I turn?’ It was the not-so-subtle reminder that my Bible and God should always be the first place I seek when I am struggling; not the last place I look when all else fails. Our failures and sins will not stop Jesus, our Lord and Savior from loving us; and they surely won’t keep Him from using us, regardless of our transgressions. Jesus predicted Peter’s betrayal (Matthew 26:34, Mark 14:30, Luke 22:34, John 13:38), and He knows of our betrayals before we do. He forgave Peter, just as He’s forgiven us. And He used Peter, just as He’ll use us. When Peter finally accepted Jesus for Who He was and is, he finally committed his life to Jesus, giving Him agape love. I want to be like Peter. 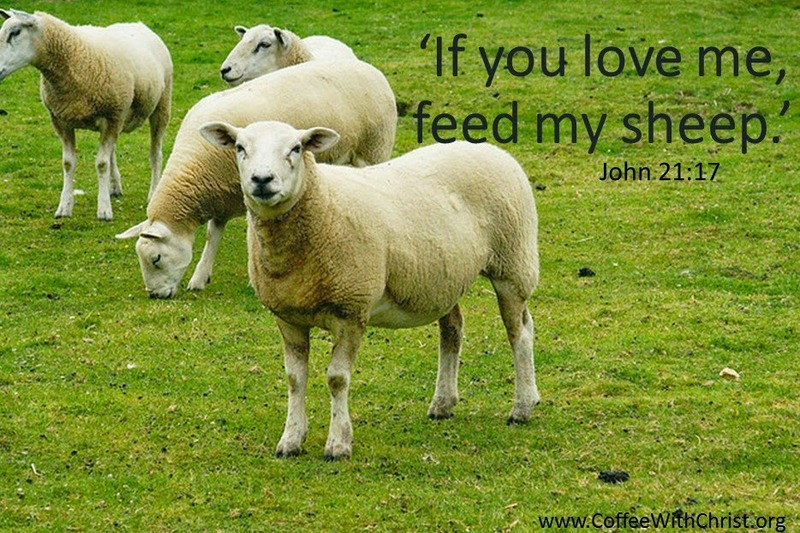 Not in the sense where I want to openly deny and betray Jesus (though I inevitable will); I want to finally understand Jesus’ Love, and go out and feed His sheep. After all the talk of dandelions in my house, the girls passed it over. After all, it's just another dandelion and we have seen lots of those. I'm sure you realize that if it were just another dandelion I wouldn't be sharing with you about it right now. (wink wink) Pictured above is what is known as a false dandelion, one of several plants that looks like a dandelion, but isn't. Like dandelions, this plant is edible, but it is much less bitter than the flower it imitates, making it more palatable. I know, in my last post I said I was done with dandelion lessons, but this one isn't really about dandelions.....it's about false dandelions. It is so easy to just give this little flower a glance, make an assumption and keep going. You could spend the rest of your life believing it was a dandelion, never taking the time to discover the truth. We are like that with our God sometimes too. Flowers aren't the only think in the world that have imitators. 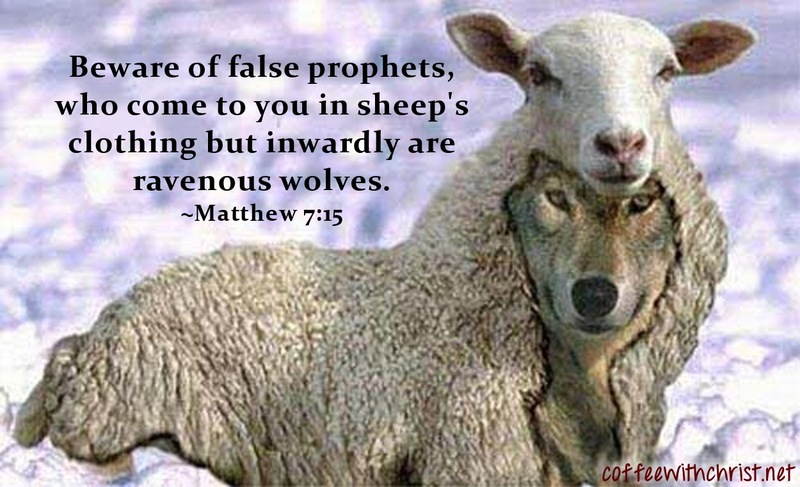 In fact, we were warned that "many false prophets have gone out into the world". (1 John 4:1) These are the people that pretend to be of God, that share a twisted or false message of who He is and what He expects of us. Often the message they bring is more palatable to us than the truth. "God wants you to be rich!" "With God, you will never feel pain!" "God will give you everything you desire!" So how can you combat this? Spend time with God. Read His word. Talk with Him. After all, how easy would it be for a complete stranger to imitate your best friend convincingly? 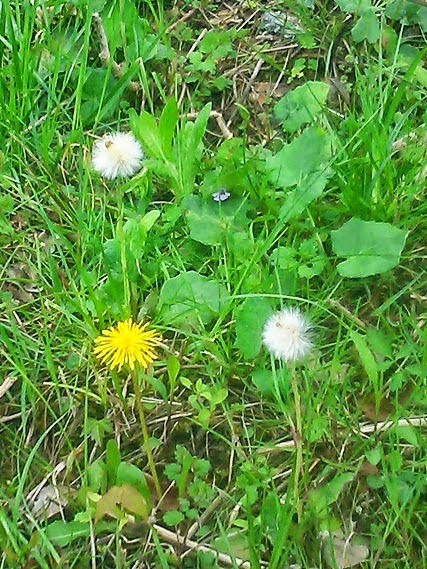 If you know God, the false dandelions are going to be really obvious! I have moments where, more frequently than not, I feel like a failure; I’m not living up to my potential in Christ, and therefore am disappointing Him. No matter how hard I try or seem to be following His Guidance and Direction- I feel like I fall short of success. But then again… I am only measuring success by my standards, not His. In those moments of my self-doubt, I seek His forgiveness as the guilt chokes me. Have you ever felt like you weren’t good enough for God? It’s overwhelming to think, or rather know that we will never measure up to the standards that Jesus set. Perspective is a grand thing. And we all fall short in remembering that we don’t have near the perspective that God has. When we feel like the biggest failure, after all of our hard work, perseverance, trust, faith… and we still don’t ‘succeed’- we’re only a failure in our eyes. God sees all; He knows all. And He knows our hearts. You will never be perfect like Christ; and God knows that. He doesn’t expect perfection. And He isn’t surprised at our imperfections. Psalm 139:13 and Jeremiah 1:5 tell us God knew us before we were born. Before we were formed in our mother’s wombs, He knew us. Meaning, He knew what He was getting before He got it. He knew what you would become before you came. So if He knew who you would be and what you would do, and still made you… how can He be disappointed? And if He’s not disappointed in you, why are you disappointed in you? He doesn’t want you to be guilt-ridden. When you mess up (and you will- and He knows when you will before you do), acknowledge your mistake, repent and accept His forgiveness. And thanks to Jesus, that’s all you have to do. So quit being embarrassed that you messed up. Quit thinking you failed. The reminder I need daily is that God loves me (you), for me (you). There are no conditions on His Love. Because God’s Love is perfect- you don’t have to be1. (1 John 4: 16-18) God made you and me in His image. 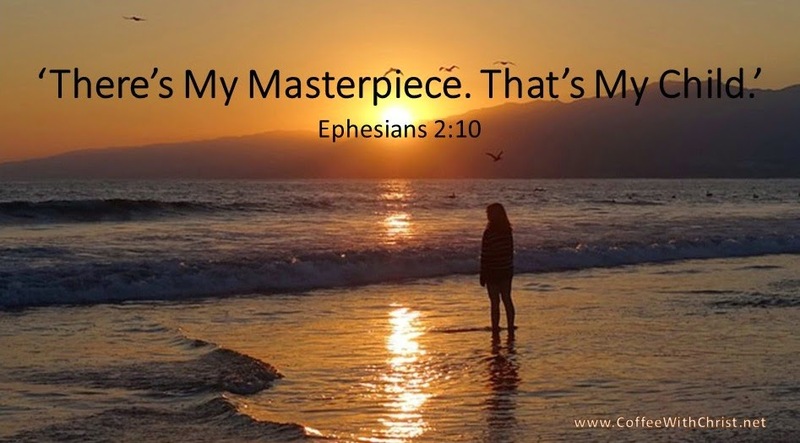 (Genesis 1:27) He sees beyond your mistakes and says ‘there’s My Masterpiece; that’s My Child.’ (Ephesians 2:10) He already sees us as ‘good’ because He created us. We don’t have to always strive to be more than we are. We need to accept that who we are is who God made us to be. “Let’s set our minds and hearts on feeling more thankful for what we are than guilty for what we’re not. Let’s cut the threads of guilt with grace.”2 And His Grace is enough. It’s more than we deserve, but everything He’s willing to give us. (Ephesians 2:8) He sent His perfect Son to die for our imperfections. If we truly accept that, then we can truly accept we are His. (Ephesians 2:18) It’s not who you are, it’s to Whom you belong. (Romans 1:6) And you’re a child of God. Accept it and embrace it. 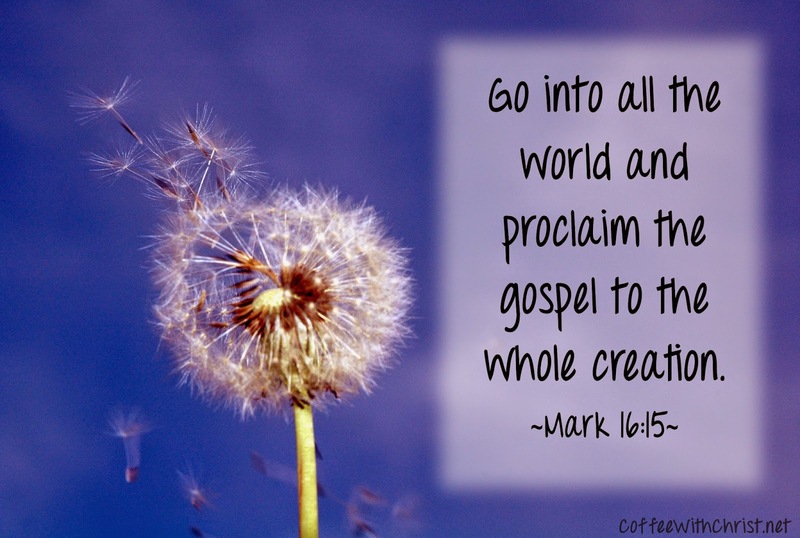 When I wrote the first devotional on dandelions I never imagined that God would wrap so many lessons up in this little weed. That's me putting Him in a box, I'm sure I could never look at another flower in my life and He could show me something new about Him through this bright flower every day until I die. But we do that don't we, put Him in a box? We forget that He is so amazing and try to limit Him. Or maybe you just limit His use of you.... Perhaps you feel to unworthy for Him to use you. Or you just can't picture how He could. After all, you have done ___________(fill in the blank with your own hidden act) in the past and if anyone knew, they wouldn't listen to you about how God has changed you. Or this morning RIGHT after you finished your Bible study and your cup of coffee you yelled at your kids, or said some not nice things about the guy in the car in front of you that cut you off, or you thought some unkind words about a co-worker. How could He use you if you can't even manage to keep it together for an hour, much less a day? Here is the thing, God can make ALL things beautiful. My daughter and I have been observing a dandelion in my yard for about two weeks now. The bright, colorful yellow flower only lasts a few days, it is short lived. Reminds me of our life here on earth, it doesn't last long in the grand scheme of things. After those first two days the flower closed up and we have marched outside to stare are closed flowers on top of some jagged leaves for days and days now. Ever looked at one? It's not a beautiful picture. Hidden within that bud are up to 100+ seeds. Watching them bloom is a beautiful sight. And each seed can be lifted by the wind and carried to start a whole new plant. God wants us to be like that. He has equipped us to impact the world around us, to spread His love to the world. But first we have to open up our tightly packed, protective bud. We have to share the transformation. Have you ever observed an uninterrupted field over a season? You might see one or two dandelions to begin with, but before long you see more...and more......and more dandelions. They spread quickly. The seeds easily take root in any soil. And the message that God has placed in you, the unique way you can reflect Him in this world, can spread like that too....if you let it. Won't you open up and let it?